Hornets are large and interesting wasps with complex behaviors. They are social insects and live in highly organized colonies. The colony builds an intricate nest from a papery substance made when the hornets chew wood and mix it with their saliva. The resulting structure is a wonderful feat of engineering and is both lightweight and strong. Hornets eat plant matter and are also predators of other insects. They will sting humans if they're disturbed, but most are not aggressive at other times. While the sting of some species is no more dangerous than the sting of a common wasp, in other species the sting is very painful and may also be dangerous. Hornets are widespread and are found in Asia, Europe, Africa, and North America. At the moment, one species of hornet is creating a serious problem for humans. 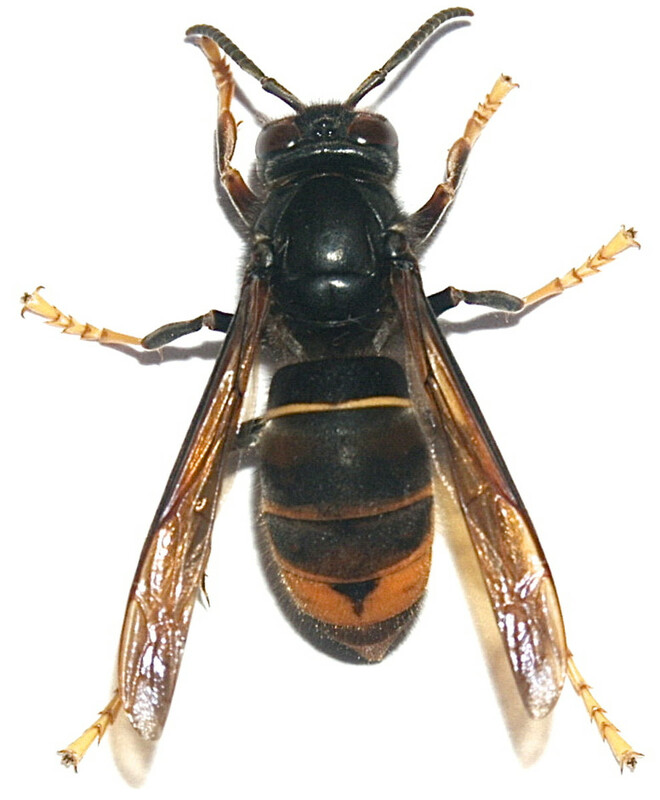 The Asian hornet or Asian predatory wasp is native to China but has colonized other countries as an invasive species. The species is of great concern since it kills bees. A group of Asian hornets can rapidly destroy a honeybee colony, sometimes within a few hours. A hornet is a type of wasp. The insect family known as the Vespidae contains hornets, yellow jackets (which are the most familiar type of wasp for many people), paper wasps, potter wasps, and pollen wasps. True hornets belong to the genus Vespa within the family Vespidae. The genus is the first part of the scientific name for a living thing. Hornets aren't native to North America, but the European hornet (Vespa crabro) has been introduced to the continent. Yellow jackets belong to either the genus Vespula or the genus Dolichovespula in the family Vespidae. The bald-faced hornet of North America is actually a type of yellow jacket, although it has black and white markings instead of the black and yellow markings of the common yellow jacket wasps. Its scientific name is Dolichovespula maculata. Hornet nests are aerial and are found in treetops, under roofs or decks, in sheds or garages, in hollow tree trunks, or in other areas that are raised off the ground. The nest is large and is shaped like a football. It contains horizontal combs, which hang in tiers and are connected to each other. Each comb contains many chambers or cells for eggs and larvae. The nest is often surrounded by layers of papery material that insulate the structure. Some nests are free-hanging and have a stalk called a petiole which attaches the nest to an object such as a tree branch. Other nests are built in an enclosed space that provides support for the nest. Some people like to collect hornet nests so that they can examine and admire their intricate structure, but it's very important to do this after all the hornets have left at the end of the season. Despite their larger size, most hornet species (but not all of them) are less aggressive than the common yellow jacket wasps. However, all hornets will become aggressive if their nest is being attacked. The only member of the hornet colony that reproduces is the queen. Most hornets in the colony are workers. 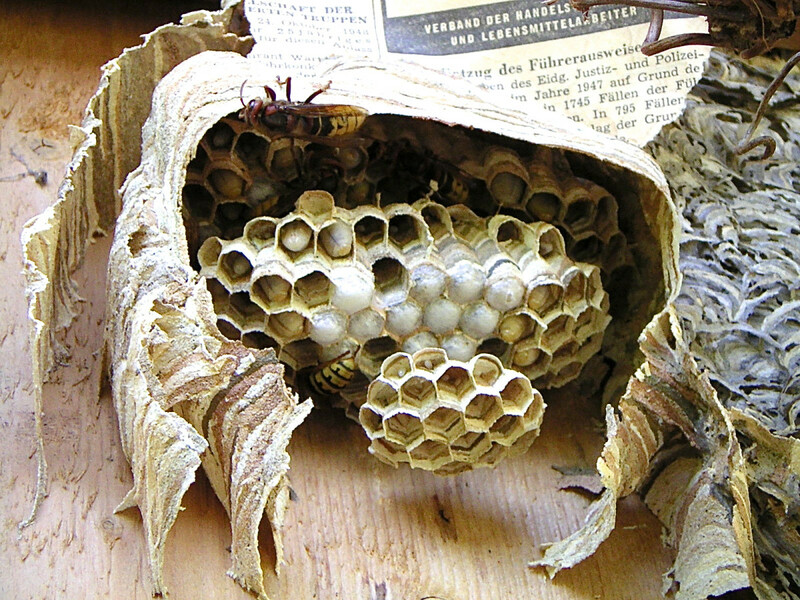 The worker hornets make the nest (after it has been started by the queen and the workers have developed from the eggs that she laid). Workers also feed the young and protect the colony from danger. The males mate with new queens and die soon afterwards. There are only a few males in a colony. In temperate climates, a hornet nest is inhabited for only one year. The worker bees, the males, and the season's queen die in the autumn. The new queens survive. They leave the nest and spend the winter hiding under loose tree bark, in the soil, or even in a building. In the spring, the new queens of the European hornet emerge from their winter hiding places and find a place to build a nest. They chew wood and mix it with saliva to form a light but strong construction material which is similar to paper mache. The nest is generally built in an area that provides support for the nest instead of being free-hanging. Nests can be found in hollow cavities in tree trunks and in attics, barns, and sheds. They may even be built in cavities in walls. The European hornet queen makes the first cells of the nest and lays a fertilized egg in each one. After about five to eight days, the eggs hatch into young forms of hornet known as larvae or grubs. The queen feeds the larvae a paste made of her saliva and insects that she has chewed. She also continues to make new cells and to lay eggs. The larvae release a sweet secretion which the workers eat. The secretion contains amino acids as well as sugars. It provides the workers with energy and encourages them to keep feeding the grubs. Once enough workers have emerged from the pupae, the queen's sole job is to lay eggs. The workers sometimes damage trees because they strip the bark to get to the sap. They can also damage fruit crops. However, they may help humans by killing harmful insects. In late summer males (or drones) are produced from unfertilized eggs. In the fall new queens develop from fertilized eggs. The new queens leave the colony and mate with males from other colonies. The queens store the sperm in their bodies until it's needed to fertilize eggs in the spring. They find a place to hide and become dormant over the winter. When the sperm starts to become active in the spring, fertlization begins. The queen is able to produce a new colony from the stored sperm. The largest hornet in the world is the Asian giant hornet, or Vespa mandarinia. It has a body length of about two inches, a wingspan of about three inches, and a stinger that is about a quarter of an inch long. The Japanese giant hornet is a subspecies of the Asian giant hornet and has the scientific name Vespa mandarinia japonica. Native bees in Japan have developed a fascinating way to defend themselves against the much larger hornets. When a hornet scout finds a honeybee colony, it releases communication chemicals called attack pheromones. If the scout returns to its own colony, the pheromones will attract the other hornets and trigger their attack on the bees. The honeybees can detect the pheromones released by the hornet scout. They allow the hornet to approach and lure it into their hive. 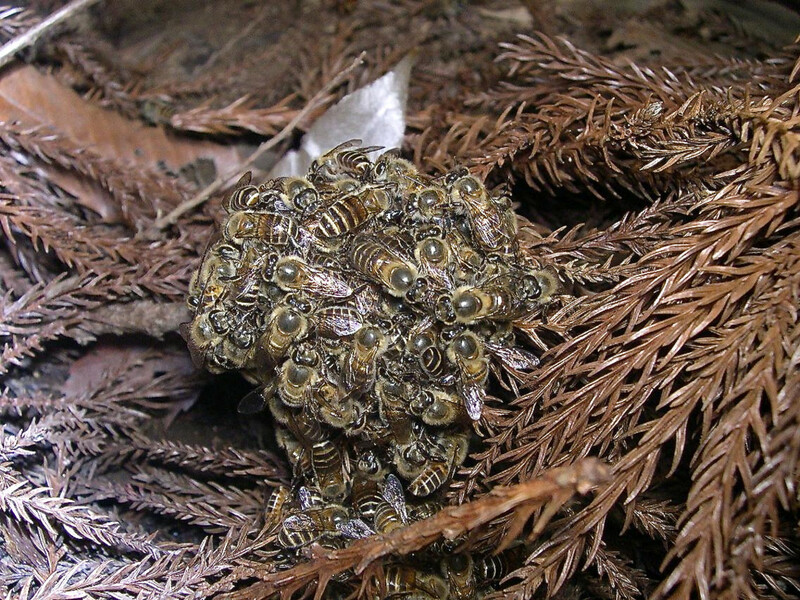 The bees then surround and cover the unfortunate hornet, forming a "bee ball". The honeybees in the bee ball vibrate their wing muscles rapidly, raising the temperature around the hornet to as high as 115°F (46°C). The crowd of bees also releases a large amount of carbon dioxide. The combination of high temperature and high carbon dioxide concentration kills the scout, preventing it from communicating with its colony. Bees introduced to Japan from another country (such as European honeybees) haven't developed the overheating behavior and are often slaughtered by attacking hornets. The sting of the Asian giant hornet is very painful for humans and is potentially dangerous. The venom is powerful and contains chemicals that can destroy human tissue and interfere with nerve action. 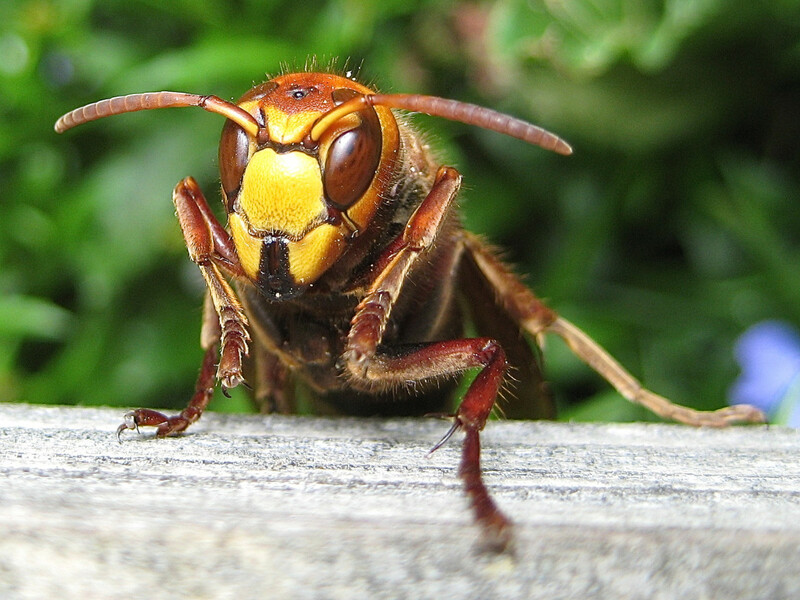 A significant number of people in Japan die from giant hornet stings every year. Some people in Japan like to eat giant hornets in either a raw or fried form. The secretion produced by the larvae to attract workers is known as vespa amino acid mixture, or VAAM. It gives the workers energy and is the basis of a Japanese sports drink, which contains synthetic chemicals similar to those in the larval secretion. The Asian hornet is sometimes called the Asian predatory wasp or the yellow-legged hornet. It's not the same insect as the Asian giant hornet. The common names of hornets can be confusing, so it's always a good idea to check the scientific name when reading or hearing about the insects. The Asian hornet can be recognized by its generally dark body, the orange coloration on the rear half of its abdomen, the yellow or orange bands on the abdomen, the orange face, and the yellow legs. 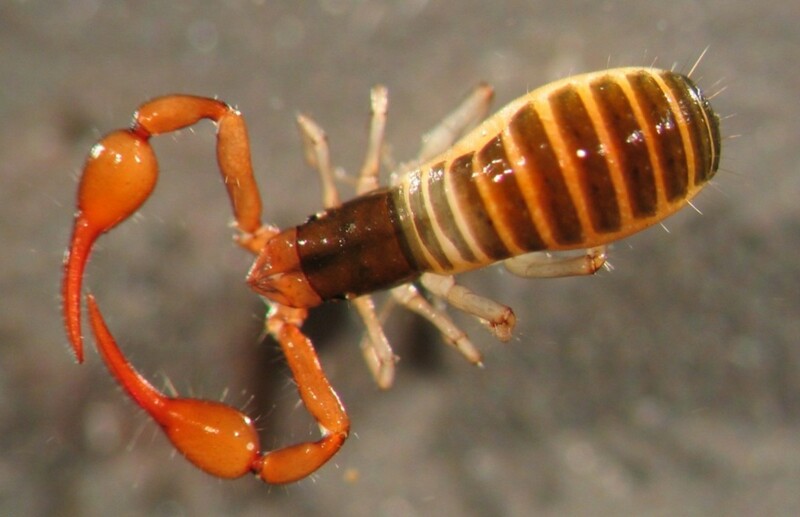 The insect is believed to have entered France in a shipment of Chinese pottery in 2004 and has spread to other European countries. In France, the Asian hornet builds its nests in tall trees, under decks, in sheds, or in garages. The hornet attacks bees to provide food for its larvae. The chewed bees provide a protein-rich meal for the grubs. The hornet rips a bee's body apart, removing the head, legs, and wings. The thorax (the section in front of the abdomen that bears the wings and contains the wing muscles) makes a high-quality food. The Asian hornet is native to China but is now found in France, Belgium, Spain, Portugal and Italy. It has also been discovered in Japan and Korea. In 2016, it was found in Britain. The main concern about the insect is its threat to honeybees. Although Asian hornet venom isn't considered to be especially toxic to humans, because each hornet is large it releases more venom than many other stinging insects. Stings from multiple hornets have hospitalized people in France. The head of the Nantes Botanical Garden in France has discovered that a particular species of pitcher plant in the garden traps Asian hornets. The plant doesn't catch European hornets, other wasps, or bees. It belongs to the genus Sarracenia and is native to eastern North America. Pitcher plants are carnivorous. They make food by photosynthesis like other plants, but they also trap and digest insects to obtain nitrogen. 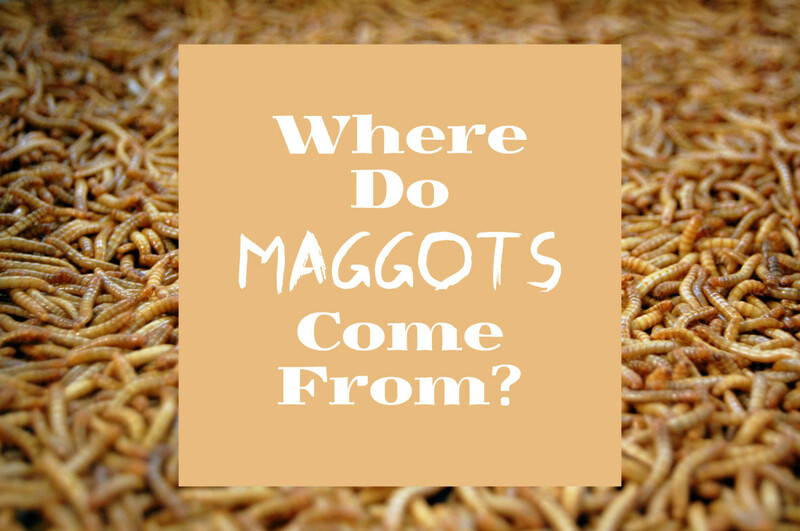 They often live in bogs, where the soil is generally low in nitogen. Pitcher plants have long leaves that form a tube. There are nectaries on the lip of the tube. Like those in flowers, the nectaries on the leaves produce a sweet secretion that attracts insects. 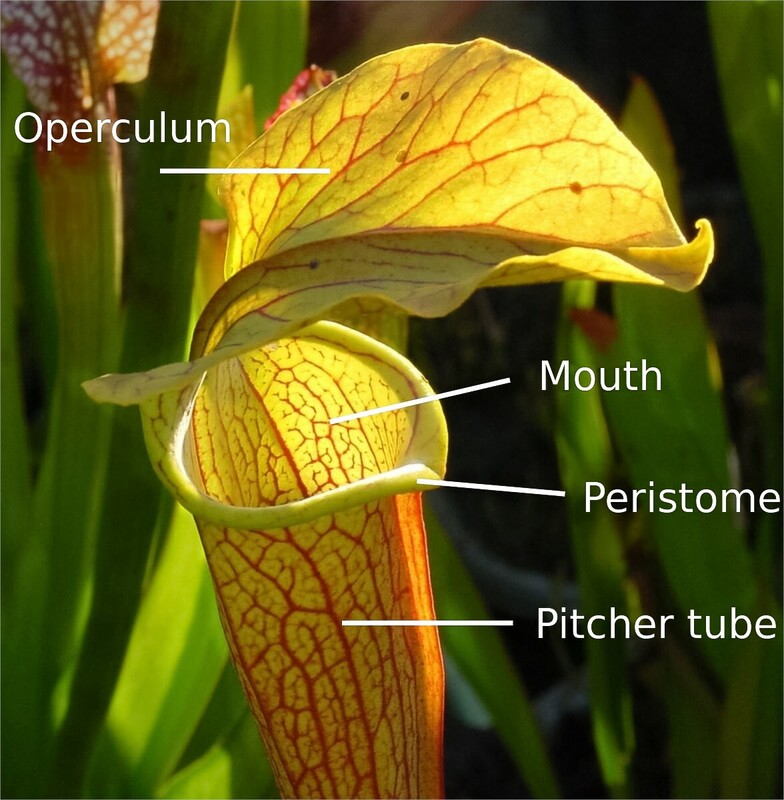 Pitcher plants may also release pheromones, which are chemicals that attract insects. 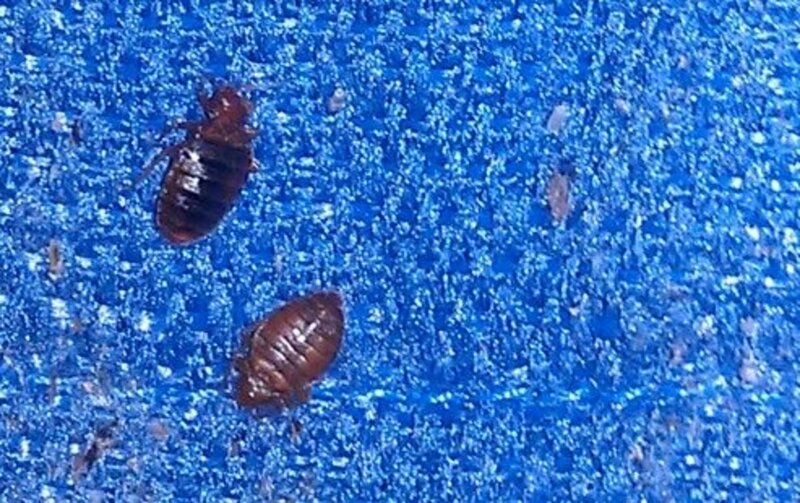 When the insects land on the slippery rim of the tube, they fall into it. The plant then digests them with powerful secretions. It has been suggested that pitcher plants could be used to destroy the Asian hornet. The plants might be helpful, as long as they don't cause problems themselves. Realistically, though, a huge number of pitcher plants would be needed in order to control the hornet colonies. It's also been suggested that the pitcher plant chemicals that attract the hornets could be used in an artificial trap, which might work better. The problem is that we need to learn how to make the attractant chemicals synthetically. Hornets are fascinating creatures. A study of the different hornet types and their lives reveals a common observation about life on Earth. An animal species that has inhabited an area for a long time has developed features that help it survive successfully in that environment. However, if the species is moved to a new environment and interacts with creatures that it's never encountered before—or if it doesn't encounter its usual predators—problems may develop. Honeybee populations around the world are already in trouble due to a variety of stresses. Hopefully the spread of the Asian hornet through Europe can be stopped, removing one source of pressure for the local honeybees. Since I've moved to Wellton, I'm wondering what hornets eat? If you look at the European hornet section of the article, you'll see that it eats insects, tree sap, and fruit. Despite its name, the European hornet is found in North America, where it's an introduced species. The bald-faced hornet is also found in North America, but technically it's a yellow jacket, not a hornet. How do I get rid of hornets and their nest? Personally, I think it's too dangerous to do this job yourself because of the risks involved if something goes wrong. Removal of a nest by a homeowner is sometimes successful, but not always. 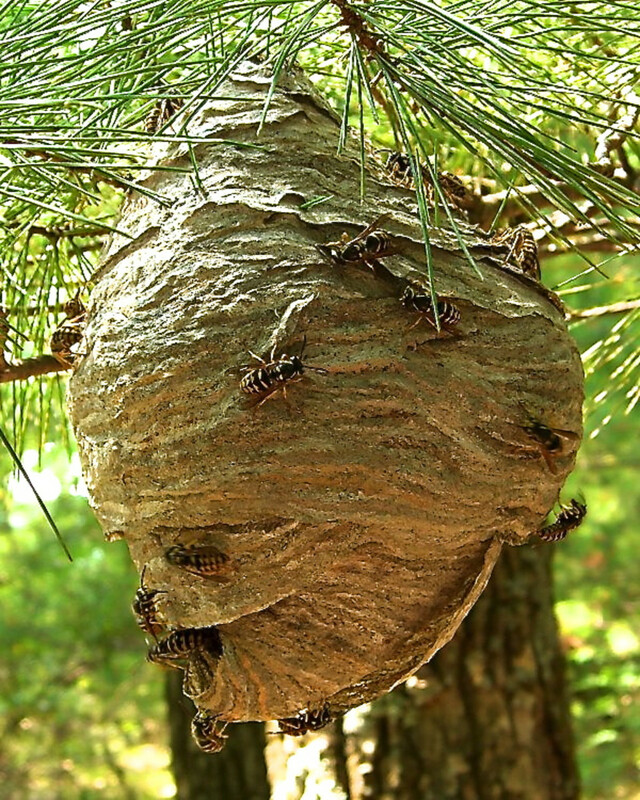 Hornets disturbed as their nest is destroyed are very likely to sting. 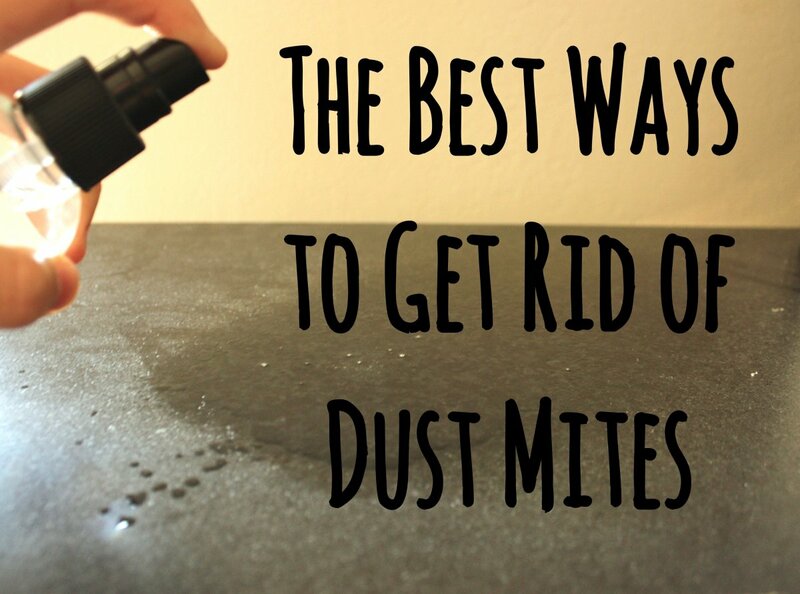 My advice is to contact a pest control expert and ask them to get rid of the nest. I've been watching adult hornets removing grubs from the nest in our house wall and flying off with them. Is this usual? What an interesting observation. Necrophoresis is the removal of dead individuals from the nest in social insects. Ants and honey bees are known to remove dead individuals from their colonies. I’ve never read anything about hornets performing the same behavior, but it’s possible that they do. 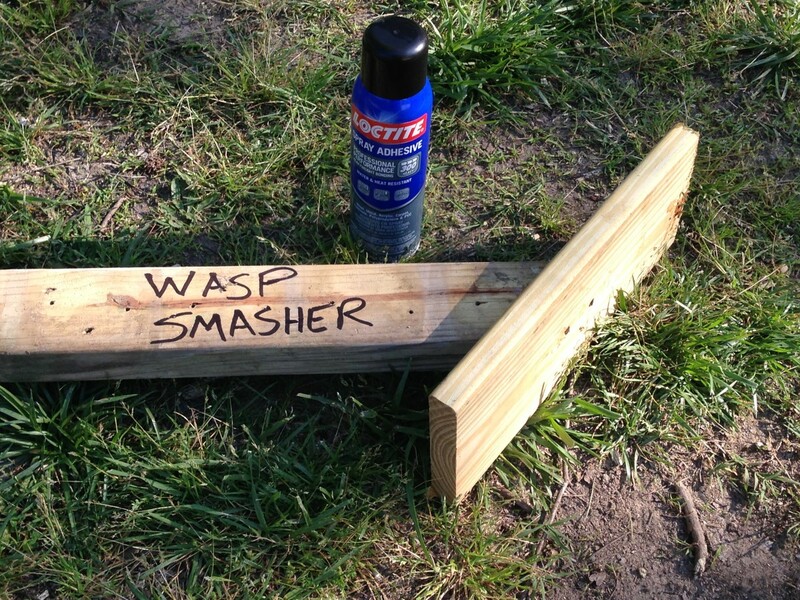 How do I know I have a wood wasp invasion? 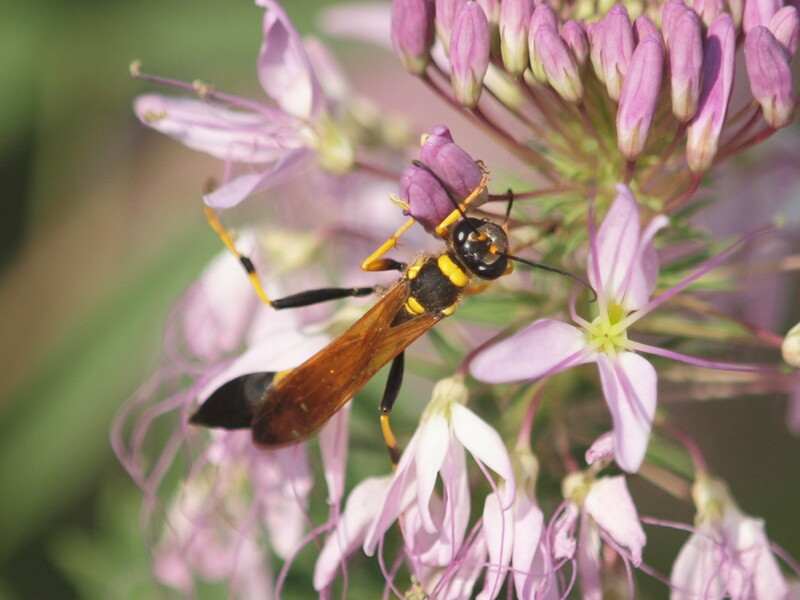 Wood wasps or horntails are solitary, stingless insects. They belong to the order Hymenoptera, like hornets. The females lay their eggs in the wood of dying or dead conifers. At the same time, a female squirts a fungus from her abdominal gland into the wood. The fungus digests the wood, which enables the larvae of the wasp to eat it. The larvae that hatch from the eggs burrow through the tree and feed on it as they grow and develop. Eventually, an adult emerges from a round exit hole that they chew. The tunnels or galleries that the larvae produce, the exit holes, and the wood dust that is created can be signs of an infestation in a tree, as can the increased attention to the area by woodpeckers. Unfortunately, the infested wood may be collected for building projects, spreading the insects to new areas. The insects don’t deliberately infest buildings, though. If they emerge from wood in a home, for example, they won’t reinfest it. The signs described above suggest that a wasp has affected the wood. To be sure that the damage is created by the wasp and not another creature, a pest or insect expert should be consulted to look at the affected wood and—if they’re present—to examine the eggs, larvae, and adults. This should enable the person to diagnose the problem. How far can a bald-faced hornet spray its venom? The bald-faced hornet is not a true hornet, despite its name, but it’s an interesting insect. It has the ability to both inject its venom into its enemies and to spray or squirt the venom at them. The insect aims the spray at the face and eyes of a predator that actually attacks the nest. It also flies towards people and animals that come too close to the nest and injects its venom into them with its stinger. I’ve never seen any measurement of the distance that the insect can spray its venom, but since it can be aggressive while protecting its colony, it’s a good idea to stay well away from the nest. My wife and I frequently walk in the same location in Norfolk, UK, and every year in spring and early summer we find hornets in the same location. They are on a couple of ancient and very large oak trees and appear to be in places where the bark is broken or is holed. I thought they were feeding on tree sap but wonder now if they are chewing the bark for nest building. Is June too late for that? 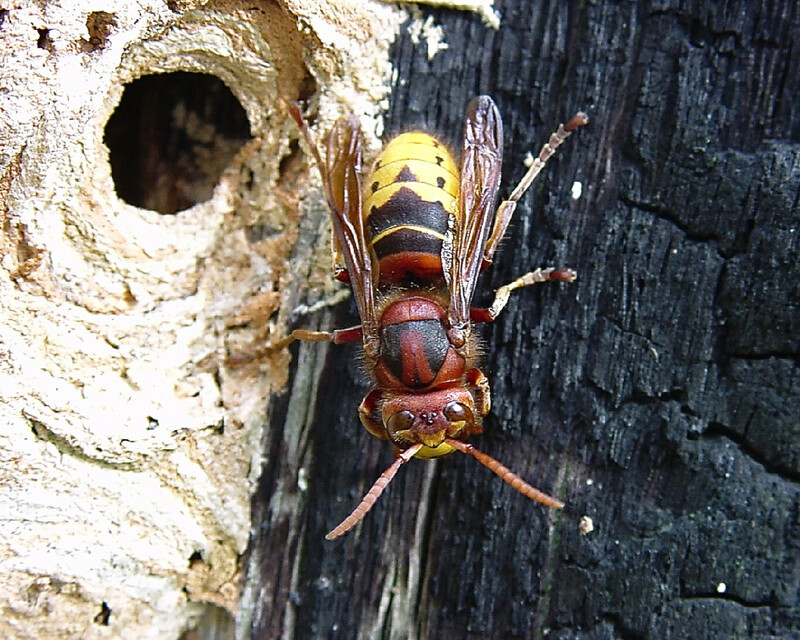 Though hornet nests are built in spring, they are often enlarged during the summer. Therefore June isn’t too late for the workers to gather bark and wood. They often add more cells to the nest in the summer, enabling the colony to grow. The hornets that you see on the oak trees may also be feeding on tree sap through holes created by woodpeckers. How far do hornets fly from their nests? The distance likely depends on the species of hornet and perhaps on the insect's size and habitat. I’ve found several results for wasps, but not specifically for hornets, which are a type of wasp. The foraging distance is in the range of hundreds of metres, but the exact distance discovered in experiments varies. 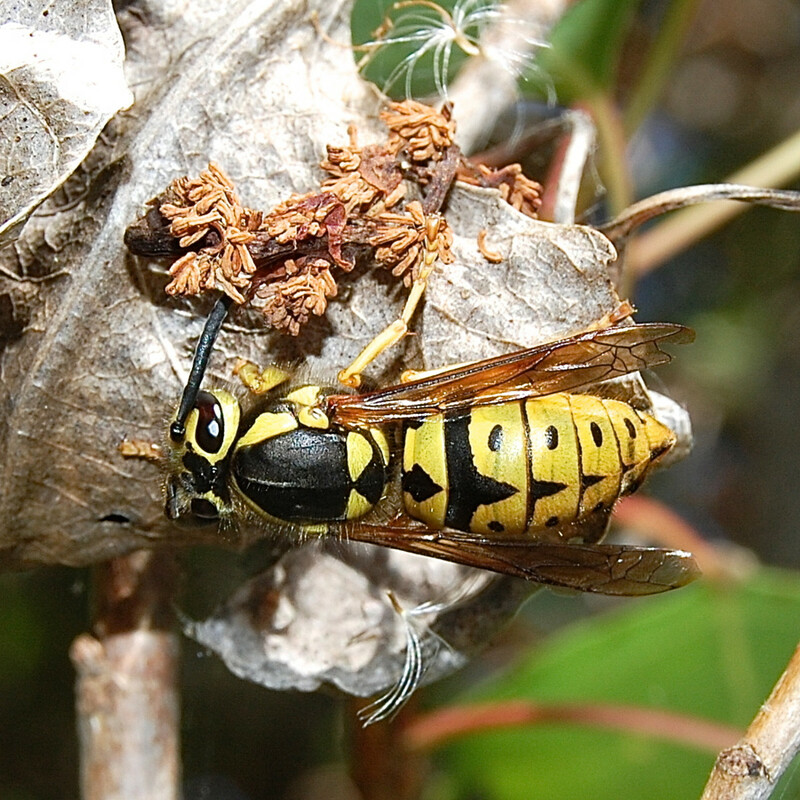 In New Zealand, researchers set up poisonous bait stations for invasive Vespula vulgaris wasps. They found dead wasps at stations located up to 450 metres from the nest but not at those located 800 metres from the nest. 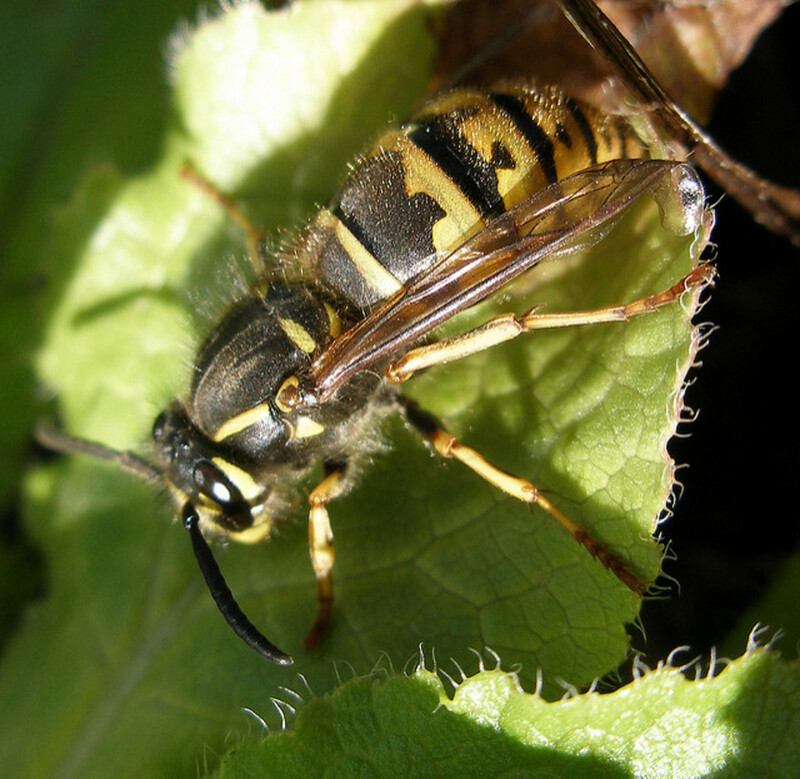 A government of New Zealand document about four species of invasive wasps (including Vespula vulgaris) says that they forage mainly within 200 metres from the nest. The University of Kentucky says that yellow jacket wasps forage several hundred yards from the nest. This is roughly the same as the previous measurements, since a yard is just a little under a metre in length. Hornets fly by indirect flight. This means that instead of moving their wings directly, they move their thorax, which then causes the wings to move. The first step in moving the wings is to contract muscles running from the top to the bottom of the thorax (dorsoventral muscles). This moves the top of the thorax down, causing the wings to move upwards. In the second step of flight, muscles moving from the front to the back of the thorax (longitudinal muscles) contract. The causes to top of the thorax to bend upwards and the wings to move downwards. The moving wings create airflow patterns that support the insect in the air. How many hornet stings can a person withstand before dying? The Merck Manual (a respected book about medicine) says that the average person can tolerate ten bee, wasp, or hornet stings per pound of body weight. I think we need to interpret this information cautiously, though. Some people are allergic to the venom and might be killed by even one sting if treatment isn’t provided quickly. Some insects are bigger than others or inject more venom with their sting, which would reduce the number of safe stings. Some people’s bodies may not be able to deal with the venom properly, even when no allergy is present. The venom of some species may be more harmful than the venom of others. Here is the Merck Manual reference. I live in eastern Oregon. It's February and we had to do some demolition on our basement. We found a large football sized paper nest. Is it empty of wasps or hornets at this time of year? You need to ask a pest control expert in your area this question. They will know about your local climate and weather conditions and other factors that may be relevant in your part of the world. They may also inspect the nest if this is necessary. I appreciate your comment, Glyn. That is really interesting material Linda, thank you very much. When I lived in Europe, I worried far more about being stung by the common wasps that I encountered than by the European hornets. As I say in the article, though, the European hornet can be aggressive if its nest is being disturbed. Some species of hornets seem to be more dangerous than others. Unfortunately, the sting of the Asian giant hornet has killed people. Do hornets ussally sting or are they like solitary wasps and can a giant Asian hornets sting kill you? I don't know the specific distance for bald faced hornets, but I've read that most wasps travel up to 200 metres from their nest. Some may travel as far as 1000 metres from the nest. How far from the nest do balf faced hornets wander? Hi, Vanessa. I haven't seen any reports of the hornet in British Columbia. Its appearance is a scary thought! If you haven't already done so, you might want to contact the Invasive Species Council of British Columbia via their website and see what they think. If they can't identify the insect they might send the photo to an expert who can. 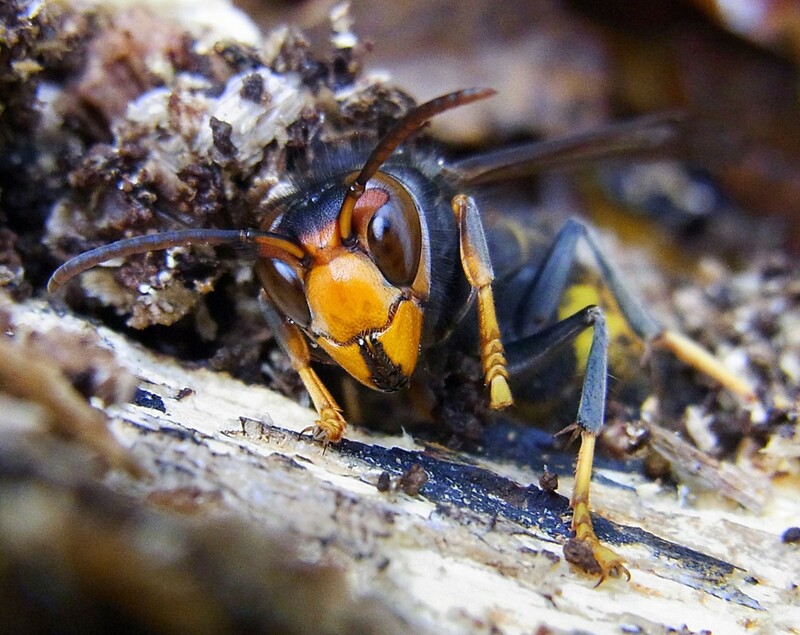 Do you know if Asian hornets are in British Columbia ? I took pictures of it and very similar . It doesnt have a yellow head but a black head and enormous orange body with yellow strip on top . Its rather large as well with long yellow legs . I have a picture if I can send it . I also sent it to BC insect websites. Hi, Perspycacious. Hornets do carry out some pollination, but not as much as bees. 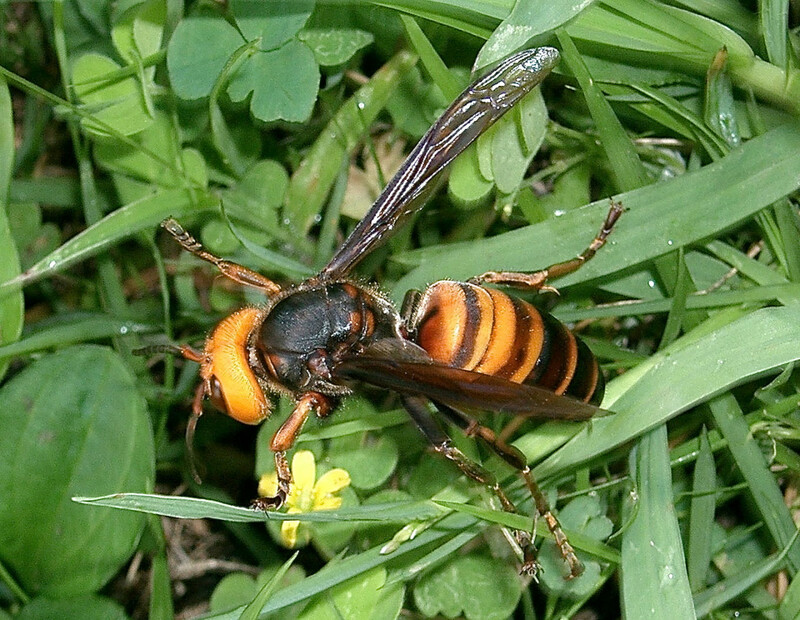 The European hornet is present in North America, but the Asian ones aren't at the moment. Just stopping by. If I see a hornet on a vegetable blossom is it helpful to some extent in polinating, or is it just there chasing some other insects? Did you state or imply that the European Hornet is already in America? Our troubling history of the Chinese Pine Bark Beetle is another bad example of Made In China! I'm glad to hear that your class is so good, Connie. Thank you very much, apples123! Thank you very much for the comment, DDE. It's nice to meet you! Thank you so much, Eddy! I appreciate the comment, the vote and the share. I hope that you have a great day, too! I knew hardly anything on Hornets but I do now! !This is a brilliant hub which I vote up and share. Thank you for sharing and enjoy your day. Thank you very much for the visit and the comment, teaches! Interesting hub post, Alicia. I have never seen so much facts, data and trivia on these insects. Thank you so much for the lovely comment, Deb! I appreciate it very much. Incredibly good information, Alicia, with superb detail. The photos and videos are also very good and well placed. Thank you for the visit, Nell. I've been stung by a wasp (or yellow jacket) but not by a hornet, luckily. It is a very scary situation being around wasps if people know that they are allergic to the sting! Thanks for the interesting comment, Peggy, and thank you for the votes too. Wasps are very interesting, but some of them certainly can be annoying at times! This is a fascinating article Alicia. It is a shame when non native species cause havoc in the environment. The decimation of honey bees world-wide is a huge problem. We have a red bodied wasp or hornet that lives in our area and builds hard mud type of nests against our brick homes. They are named or nick-named mud dobbers. Not sure of their real name. We are constantly chiseling the nests away from our homes. They are not overly aggressive. Up and interesting votes. Hi, Cynthia. I agree - the honeybees have enough problems without the presence of the Asian hornet. 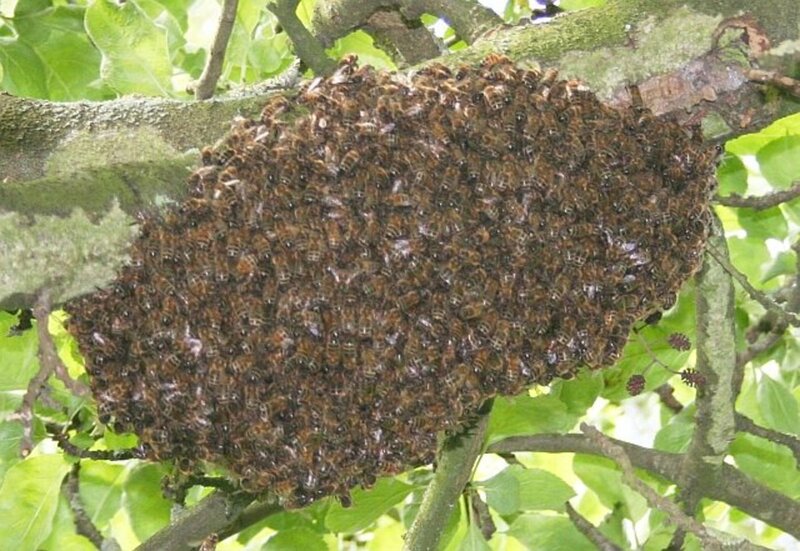 This new stress may be very serious for the honeybee population. Thank you for the comment. Hi, Prasetio! Thank you very much for the visit. I appreciate your comment and vote. Thanks for the comment and the votes, Tom. I think that hornets are fascinating insects. Some of their behavior is very interesting to observe! Hi my friend very interesting and fascinating information, some of it i did not know before. Thanks for the interesting comment, moonlake. I've never heard of this idea before! I appreciate your vote. Thank you very much for the comment, drbj. I'm so glad that you enjoyed the hub! I appreciate your visit and the vote. We still have pieces of a hornets nest hanging on our house. If the old nest is left behind the hornets won't come back that is the word out there that I heard so to keep the hornets off our deck we left pieces of the nest. It has worked. Interesting hub enjoyed reading it. Voted up. Via your hub is the closest I plan to get to a hornet, Alicia. What fascinating creatures they are and what a fascinating, educational hub, m'dear. I'm amazed at how the Japanese honeybees have developed their 'beeball' technique to conquer a hornet invader. They are definitely banzai bees! This hub is an Up+. Thank you, Martie! I appreciate your comment and visit very much. Hornets are very interesting insects to study! Truly the most interesting and fascinating information about Hornets, and accompanied by awesome videos. Alicia, this is really excellent work, well-researched. Bravo! Thank you very much for the visit and the comment, Mhatter99. Fascinating creatures. Thank you for sharing.